You know, I realize that many of you who were playing at home may not have seen the final kitchen design. CLICK IMAGE FOR LARGER DRAWING. It seems spacious until you are in it-- I think that ultimately it will be a cozy and hard-working kitchen, but I doubt that people will say wow-- "Big kitchen!" 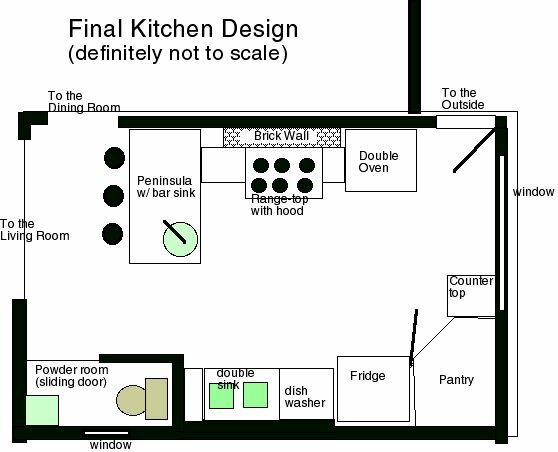 Comments on "Final kitchen design"